RIGA, Latvia — Many gay bars in North America have stopped selling the famous Stolichnaya vodka brand to protest Russia’s crackdown on the gay community. But the vodka’s maker has joined forces with Latvia’s leading gay rights group to say that the boycott is misplaced. 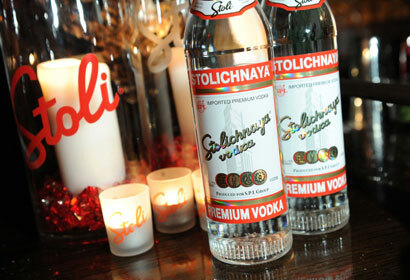 Though Stolichnaya is an historic Russian brand and some of its ingredients come from Russia, virtually all of the Stoli sold in the west is made in Latvia, a former Soviet republic that is now part of NATO and the European Union. It’s the perception that it’s Russian that’s prompted the boycott — Russia recently introduced a law that bans so-called “propaganda of nontraditional sexual relations” and imposes hefty fines on those holding gay pride rallies. The vodka is produced in Latvia by Latvijas Balzams, which has 600 employees and is one of the nation’s biggest exporters. However, Latvijas Balzams is nearly 90 percent owned by Luxembourg-based SPI Group, which in turn is controlled by Yury Shefler, a Russian-born billionaire who left Russia a decade ago after falling out with the Kremlin over his support of opposition political parties. Latvijas Balzams spokeswoman Dana Hasana said Friday that SPI is “continuing a dialogue with the (gay and lesbian) community” to dispel confusion about the origin of Stolichnaya vodka. And Mozaika, Latvia’s homosexual rights group, appealed to organizers of the “Dump Stoli! Dump Russian Vodka!” to drop their campaign. “This campaign will only harm Latvia, Latvia’s economy and employees of the company Latvijas Balzams,” Mozaika said in a statement Thursday. Despite the boycott, Latvijas Balzams officials said the distillery saw no reason to consider decreasing Stolichnaya output in light of the boycott and that production of the world-famous vodka was up 10 percent in the first six months of the year. As yet, there’s no sign that the boycott will be called off. In the wake of Mozaika’s appeal, one group, Queer Nation, contended that SPI remained an appropriate target for a boycott. Queer Nation urged Mozaika to put pressure on SPI to take action in Russia seeking repeal of the anti-gay legislation.